Paul Martin Burke passed away at age 78 on January 30, 2019 in San Jose, California. Born on December 21, 1940 in Windsor, Vermont, to Pauline Proulx Burke Duling and Martin Lloyd Burke. 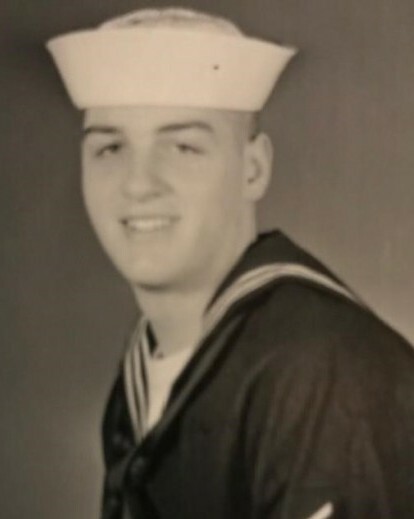 Paul graduated with the class of 1959 from Windsor High School Windsor, Vt. and proudly served in the U.S. Navy from 1960 to 1964. He owned and operated Paul Burke Truck & Tractor in San Jose for 31 years. Paul was a Heavy Equipment Operator at Santa Clara County Parks until he retired in 2008. Paul is survived by his loving wife of 56 years, Joyce Burke, his sons; Paul Francis Burke, wife Kim and Steven Lloyd Burke, wife Chau; daughter, Lisa Anne Burke, fiancé Stacey Wildman; brother, Dwight Burke; and sisters, Judy Burke Bettis, husband Robert, Beverly Burke, and Pamela Burke White, husband John; his seven grandchildren; Gabrielle, Kaylan, Matthew, Kyle, Cole, Olivia and Camden. Friends and family can pay their respects at the memorial service, officiated by Andy Fitzgerald, on Monday, February 18 from 1:00 to 2:00 p.m. at Darling-Fischer Chapel of the Hills, 615 North Santa Cruz Avenue, Los Gatos, California, 95030. | 615 North Santa Cruz Ave.